The North Korean regime has been focusing on shoring up the growing personality cult around leader Kim Jong Un. Seeking to place him on the same pedestal as Kim Il Sung and Kim Jong Un and emphasizing his “greatness,” the authorities are bolstering his image as a leader who loves his people and enacts the legacies of his predecessors. 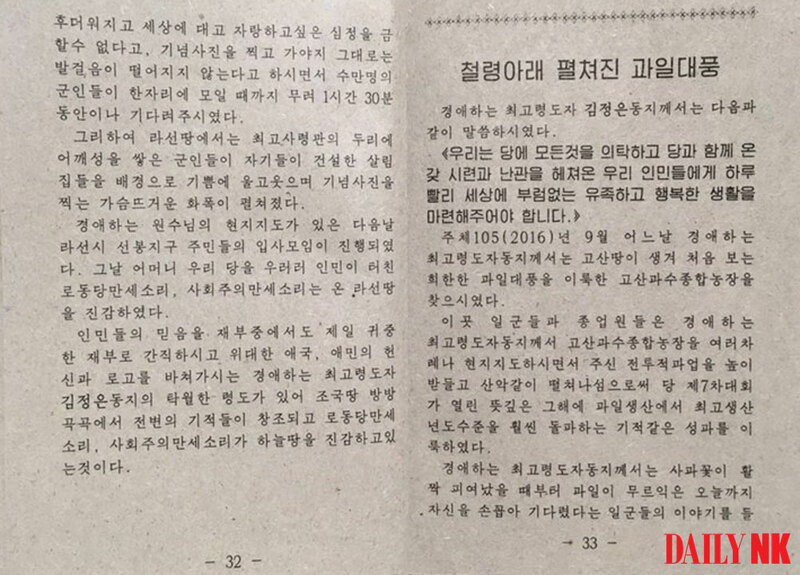 Daily NK recently obtained a propaganda and agitation document that has surfaced in the country. The document, referred to as the “Notebook of an Agitation Official,” documents evidence that the regime is trying to build domestic solidarity by raising loyalty toward Kim. The notebook, which was distributed by the regime in July, promotes the “greatness” of Kim and places him behind his grandfather Kim Il Sung and father Kim Jong Il but in front of his grandmother Kim Jong Suk, while also giving him the status of the only leader who can continue the legacies of North Korea’s past leaders. The notebook, around 90 pages long, begins with a section on “Documents [Showing] the Greatness of the Great Suryong Comrade Kim Il Sung” before moving to similar sections on Kim Jong Il and Kim Jong Un. Kim Jong Un is referred to as the “Dear Respected Supreme Leader” instead of just the “Great Kim Jong Un,” and at only nine pages, his section is shorter than those devoted to his father and grandfather. However, it is abundantly clear that the section is focused on promoting his own cult of personality. The booklet also mentions Kim’s on-the-spot visit and his praise of the success of the military in completing its recovery efforts in under a month and alleges that he waited one and a half-hours to take a commemorative photo with them. “With a total devotion to the love of the country and its people, the Dear Respected Supreme Leader Comrade Kim Jong Un’s unique leadership has made it possible for miracles to occur throughout the land and cries of ‘Mansae’ (long live/hurray!) for the Party and for socialism shakes the heavens and earth,” the document reads. 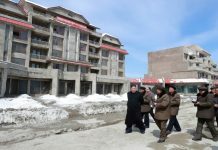 Kim, however, did not visit the site of the recovery efforts when North Hamgyong Province was again hit by floods in 2016, leading to hundreds of deaths and the destruction of countless houses and pieces of infrastructure. He simply ordered a single hydraulic excavator to be sent to Chongjin and sent gifts to some of the flood victims. 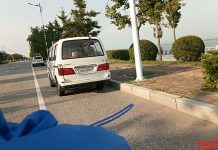 Later, Chae Ryong Hae visited the flood sites, but locals were reportedly unhappy about the fact that Chae only made some critical comments about recovery efforts before leaving. The document, moreover, presents Kim’s visit to the Kosan Fruit General Market when the region was still suffering greatly from the floods as an example of his “love for the people.” The document suggests that readers should feel a deep sense of the leader’s love because he said that people will like being sent “apples harvested this year” to the managers of a farm that performed well. On November 4-6, North Korea unveiled a large portrait of Kim Jong Un as events welcoming Cuban President Miguel Díaz-Canel to the country drew international attention from the press. This marked the first time such a portrait has been revealed to the public. 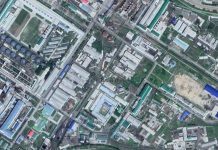 *This article was amended on November 12 to change the translation of Kim Jong Un’s title in English.